It was great meeting so many of you at our Black Humanism panel, our booth, and our Annual Meeting at General Assembly. Mandisa Thomas, founder of Black Nonbelievers and our Person of the Year, was an inspiring speaker. Our General Assembly 2018 session on Black Humanism not only demonstrated the centrality of Humanism in the African American experience, but also the centrality of Black Humanism as Unitarian Universalists strive toward the liberation of all people. The Unitarian Universalist Humanist Association (UUHA) Board of Directors appreciates the work that you do to promote humanism within your congregation. 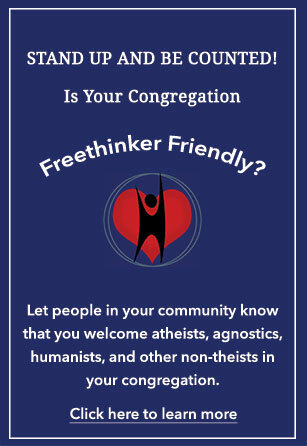 As the number of non-theists continues to rapidly increase in the US, we believe Unitarian Universalist congregations will thrive in the future only if programs that appeal to humanists, atheists, agnostics and religious naturalists expand. In order to facilitate this, we are initiating a new Ambassador Program. General Assembly 2018 in Kansas City, Missouri (Wednesday, June 20-Sunday, June 24) is going to be big. Our GA panel—cosponsored with the UU History and Heritage Society—is titled “Black Humanism in Unitarian Universalist Context and Beyond.” That takes place on Thursday, 1:30-2:30:00 pm in the Kansas City Convention Center, room 2502 B. Black Humanism developed within a Unitarian context but spread far beyond. The panel will consider UU ministers Lewis McGee, a 1940s Unitarian minister in South Chicago, and 20th century minister William R. Jones, and how their work continues today. We conclude with a powerful voice of Black Humanism from outside the UU context. Speakers include Rev. Patrice Curtis, Rev. Karen Hutt, Rev. Dr. Nicole Kirk, and Mandisa Thomas. The UU Humanist Association is pleased to award Mandisa Thomas, founder of Black Nonbelievers, our “Person of the Year - A Celebration of Religious Humanism" award. Mandisa has been an inspiration both within and far beyond Unitarian Universalism.